To err is human, but when hospital personnel err, someone’s life, or health, can become endangered. Robert B. Leflar, the Arkansas Bar Foundation Professor of Law, studies how hospitals handle such errors both in the United States and Japan. He seeks to understand the effectiveness of both health care systems in preventing medical errors and in learning from previous mistakes. 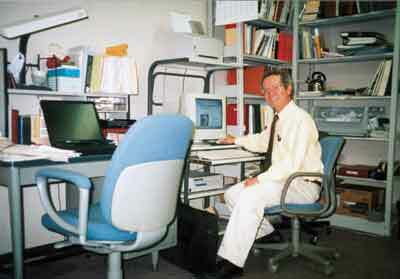 Robert Leflar spent seven monts on Tokyo University of Law faculty. He received an Abe Fellowship that allowed him to spend a semester at the Harvard School of Public Health and seven months at the University of Tokyo. The problem of medical error looms large on both sides of the Pacific. The Institute of Medicine estimates that medical mismanagement accounts for between 44,000 and 98,000 deaths each year in the United States. A hospital patient has a one in 25 chance of suffering from a significant preventable injury during his or her stay. “It’s a huge social problem,” Leflar said. Medical errors can range from obvious mistakes such as mis-prescribed medications due to a doctor’s sloppy handwriting or surgery performed at the wrong site or even on the wrong person, to subtle misjudgments about a patient’s diagnosis or proper treatment course. 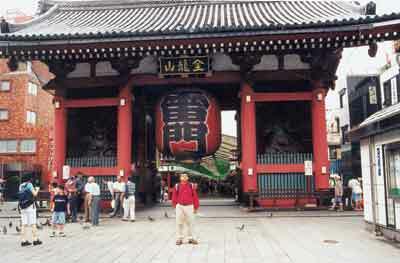 Leflar has pored over the legal and medical literature at Harvard and in Tokyo. He has interviewed physicians, lawyers, health care activists, health care economists and patients. He has visited Japanese hospitals, health care companies and health care programs. Governments in the United States and Japan have begun to take steps to prevent medical error. By examining the way these two different cultures handle a similar problem, Leflar hopes to call attention to what is working for each society. 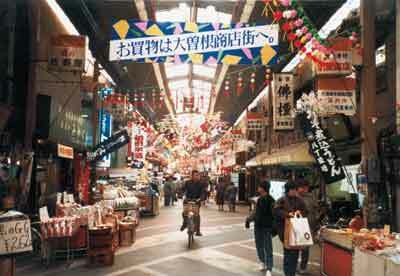 Ozone shopping street in Tokyo. Hospitals can learn from their mistakes, but also may face lawsuits if patients find out. “There’s a tension between creating a culture of safety in hospitals and maintaining public accountability,” he said. To develop the culture of safety, hospitals must analyze injuries and near misses to determine what went wrong and how to prevent repetition in the future. “The problem is, it’s hard to get hospital personnel to do [analyses] if they might be accessed by plaintiffs’ attorneys,” Leflar said. The Joint Commission for Accreditation of Healthcare Organizations (JCAHO) now requires hospitals to perform root cause analyses of all injuries and deaths to receive accreditation. This requirement went into effect last July, and over the next three years all U.S. hospitals will be scrutinized for such reports. If hospitals do not comply, they could lose federal funding. The Japanese Ministry of Health has taken a different approach to reporting medical error. Japanese hospitals are not required to meet accreditation standards. The health ministry is seeking analyses only on “near misses,” hoping that medical personnel will see this as less threatening. “You can tell what was about to go wrong from that information,” Leflar said. Although Japanese hospital regulation skirts the issue of accountability, both doctors and hospitals can face criminal penalties for abnormal deaths due to medical error. Leflar’s previous comparative studies on Japanese health law have attracted international attention, with publications in Japanese, Italian, and Spanish as well as various English-language journals. Leflar will return to Tokyo this summer for follow-up research. After being a visiting professor in Japan, Raja Kali is less than optimistic about the Japanese economy and its impact on the global economy. Researcher Raja Kali at the Institute of Economic Research, where he examined the role of cronyism in the downturn in Asian economies. Kali, assistant professor of economics in the Sam M. Walton College of Business, received a grant from the Japanese government to collaborate on research with Yupana Wiwattanakantang of the Institute for Economic Research at Hitotsubashi University in Tokyo. During his time in Japan, Kali and Wiwattanakantang completed a research project on corporate debt maturity in Thailand and presented their results at the Asia Pacific Finance Conference on Rebuilding Our Financial Architecture. 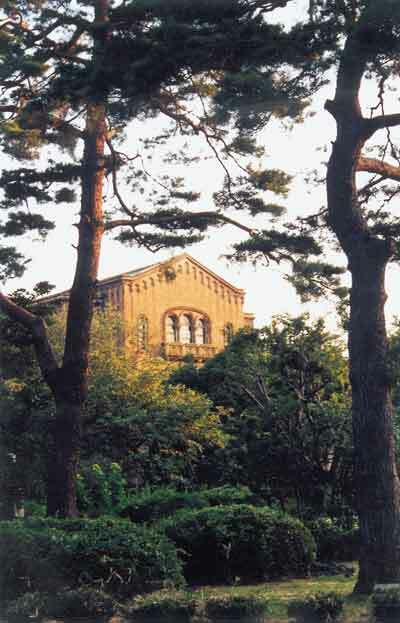 The library at the University of Hitotsobashi, Tokyo. Thailand was the first domino to fall in the 1994 collapse of Asian financial markets. It was followed by South Korea, Malaysia, Indonesia, the Philippines and, finally, Japan. Kali points to crony capital lending as a contributing factor. He conducted the first empirical study to show it was an important cause of the Asian economic crisis, which continues to have a profound effect on world markets. Cronyism occurs when bankers give credit to friends and relatives rather than using “hard” market criteria to evaluate creditworthiness. Based on implicit guarantees to banks by the government, this credit often goes to projects of dubious quality promoted by friends or relatives, according to Kali. These expectations filter down to the company, which has little incentive to ensure project success, since it expects to be refinanced by the bank because of its close ties regardless of its losses. In emerging economies it may be difficult for the government to monitor firms and prevent long-term refinancing of bad projects.